Abua Rivers State, Nigeria. We moved to Henry County when I was 12. There were people from our community in Nigeria who lived here. Cabbagetown made me fall in love with Atlanta. It’s full of creative, like-minded people. I like to go into Ann Mashburn and daydream. But I love mixing things from Zara and Madewell with finds from Value Village and Goodwill. A vintage Dooney & Bourke bag, the boxy kind. It was at the Goodwill on Roswell Road in Buckhead. I wash my face twice a day with Cetaphil. And I get facials at least once a month with Petra-Ann at Ulta. 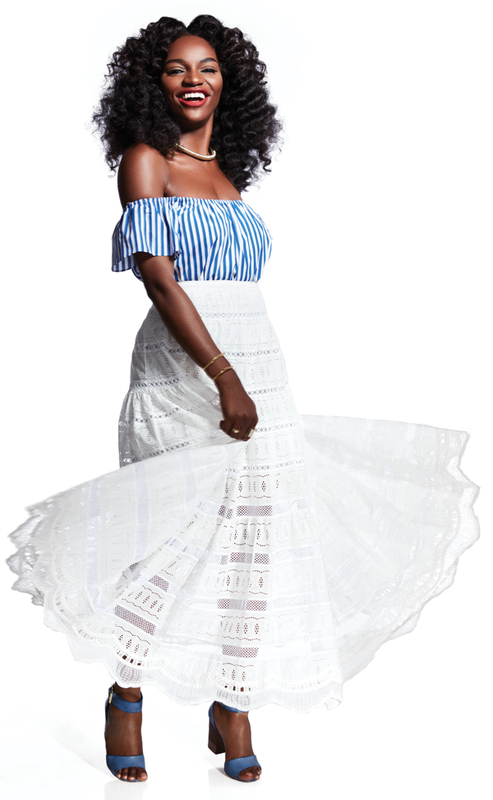 Bohemian-chic off-the-shoulder tops, palazzo pants, and crochet textures. Body-con dresses. I’m tired of women dressing like Kim Kardashian. My mom’s headscarf always matched her skirt. And my aunt taught me how to do hair; that’s how I made money in high school. I’m a night owl! I didn’t go to sleep until six this morning. It’s quiet and peaceful; the creativity just flows. 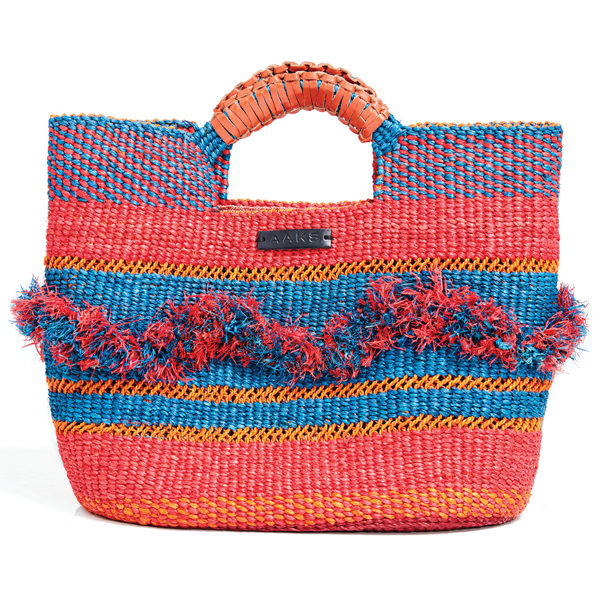 “This is the perfect summer bag,” says Wekulom. The brand, AAKS, is based in Ghana, where bags are woven using traditional techniques.